Bio: Sarah trained as an actress in Trinity College Dublin and worked in theatre after graduation. She soon moved into broadcasting and is currently working as a TV presenter in London. A trained broadcast journalist, she reports and presents for ITN and Ireland's premier entertainment programme, Xposé. 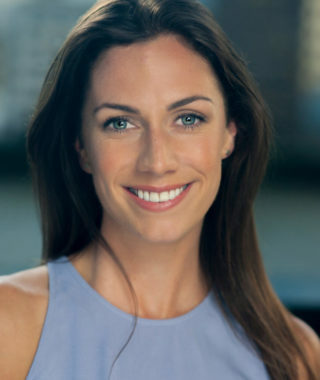 She has previously worked with a number of broadcasters including Sky News, Channel 5, ITV, Discovery and RTÉ. Description: Rich, smooth with a husky, smoky tone and bags of Celtic charm!